Bank Reconciliation is the process of matching transactions from your bank statement to entries in FreshBooks. This allows you to ensure your books accurately represent your bank accounts and that your funds are all accounted for. Bank reconciliation should be completed at regular intervals for all your bank accounts, to ensure your business’ records are correct. Note: Accounting features like Bank Reconciliation are available on trials as well as Plus and Premium plans. We also recommend inviting an accountant (if you haven’t already) to help you learn more about Bank Reconciliation. Bank Reconciliation is also in beta for now, so only certain workflows are supported while we’re making changes. 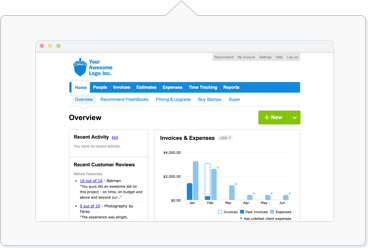 Please let us know how we can make this better by reaching out to us at accounting_feedback@freshbooks.com. To begin the bank reconciliation workflow, start with Setting Up Your Bank Account first, then Set An Opening Balance, before you start on Reconciling Transactions. If you want to connect other accounts, repeat steps 1-2 above with the Connect Another Bank Account button instead. If you’re experiencing issues connecting your bank account, check out our troubleshooting article here. Once you have a bank account (or several) connected, you’re ready to set the opening balance which will determine the amount you’ll start reconciling with moving forward. You’re now ready to start reconciling this account. Click Get Started to begin. Note: If you have questions or you’re experiencing issues with Bank Reconciliation, check out our troubleshooting article here. Once a bank account is set up with an opening balance, you can start matching transactions, which is the reconciliation process. Click Confirm and Continue to proceed. Click on the Match button. This is useful if the ones you’re looking for are not listed because they fall outside of the date range. If you also have the bank transfer recorded as an Expense too, you'll need to delete the Expense with the steps here, to keep your Expenses accurate. If you need to record bank transfers in your books, we recommend asking your Accountant to create a Journal Entry to accurately move the funds between accounts. New transactions will be imported in daily from your bank account(s), so you can continue matching up transactions on your own schedule, whether that’s daily, weekly, monthly or at a different frequency. Click on the Matched sub-tab. If you’ve accidentally matched the wrong transactions together, you can unmatch them by checking off the box(es) next to the match(es), and clicking on the Unmatch Transactions button above the list. The transactions from this match will then appear in the Unmatched sub-tab for you to reconcile correctly. I received a partial reimbursement/return on an Expense. How do I match this? Note: If you are exporting your Reports each month to close your books, we recommend using Journal Entries to accommodate for this reimbursement or return. In the Unmatched section, you can now match the reimbursement from your Bank Transaction to the original matched expense. In this case, both the original Bank Transaction (originally - $500) and the new reimbursement Bank Transaction (+ $250) will now match up with the FreshBooks Transaction of (- $250). I refunded an Invoice payment partially/in full. How do I match this? Then using the steps in Reconciling Transactions, create a $0 payment to match with the two Bank Transactions. In this case, both the original Bank Transaction (originally + $800) and the refund Bank Transaction (- $800) will now match up with the FreshBooks Transaction of ($0). Edit the payment on the Invoice to reflect the partial refund. In the Unmatched section, you can now match the partial refund from your Bank Transaction to the original matched Invoice payment. In this case, both the original Bank Transaction (originally + $800) and the partial refund Bank Transaction (- $300) will now match up with the FreshBooks Transaction of ($500).